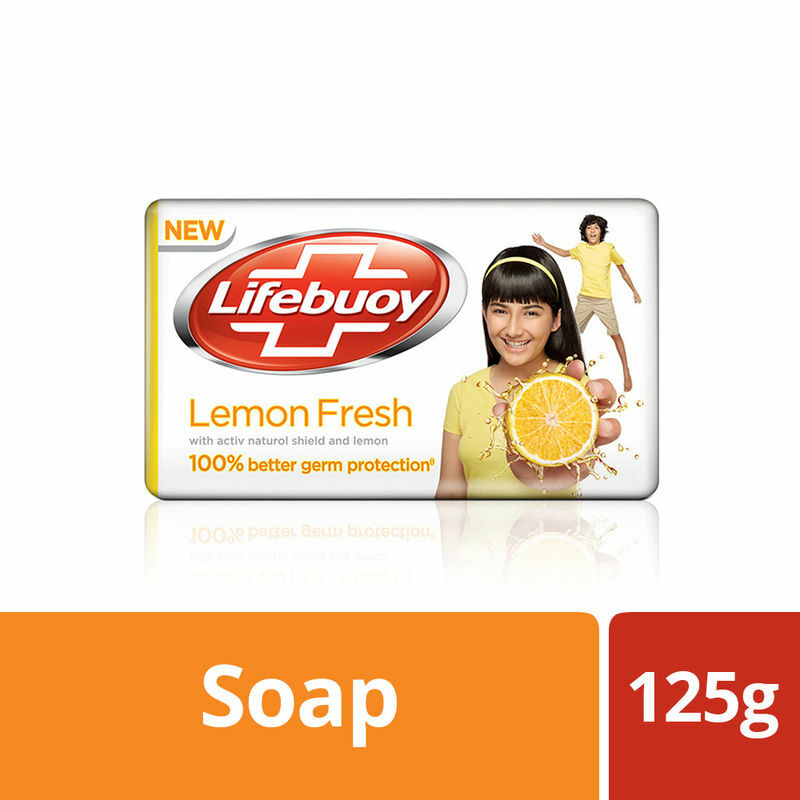 Experience a refreshing shower every day with this Lemon Fresh Soap Bar from Lifebuoy. It rejuvenates your senses keeping you fresh throughout the day. Formulated with an efficient cleansing property of lemons, this soap bar is packed with natural antibacterial properties. This disinfectant soap protects your skin from disease-causing bacteria and ensures 100% better germ protection for you and your family. The citrusy fragrance will leave you thoroughly fresh! Get the Lemon Fresh Soap Bar, today! Explore the entire range of Soaps available on Nykaa. Shop more Lifebuoy products here.You can browse through the complete world of Lifebuoy Soaps .